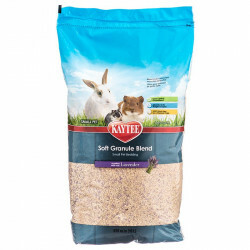 Welcome to the Granule Small Pet Bedding superstore! Here at Pet Mountain, our goal is to make owning and loving a miniature pet as worry-free as possible. That's why we've searched far and wide to get our paws on the very finest safe, clean and comfortable bedding and litter mixes available. We know pet owners appreciate having a wide assortment of options in order to find the perfect solutions for their pets, and we're pleased to be able to bring those options to you. Here you'll find the finest small pet beddings on the web, all priced at up to 70% less than what you'd pay anywhere else! 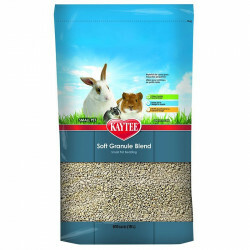 Granule-based small pet beddings offer superior comfort and maximum absorbency for your furry friend's cage. Healthy, safe and environmentally friendly, granule beddings consist of small pellets that produce virtually no dust for vastly reduced mess. 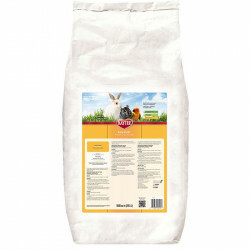 Soft granule bedding is extremely absorbent, with some blends taking in up to three times their own weight in moisture. This reduces the frequency of required cage cleanings while maintaining a sanitary environment for your pet. That's a win-win! Our odor-control blends provide extra benefit by actively destroying bad pet smells and replacing them with fresh, clean scents.